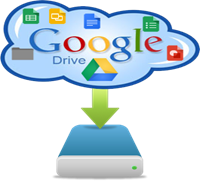 Google Apps Backup tool is an enhanced solution to provide backup of Google Apps account emails and other data to the local system. In this way, without configuring the email account with desktop application users can have a local copy of the email data. This software is a proficient medium using which the emails can be downloaded to locally accessible format. It is embedded with several features, which makes it possible to perform an organized backup as per users' requirements. Demo version of software will export only 100 emails and 25 other items. Google Apps account email backup application not only serves to create backup for all the data entities available in the account, it also creates backup of emails in multiple formats.Tool also creates backup for other data forms like contacts, calendars, documents, etc. to standardized formats. Contacts are saved to the vCard file format, calendars to ICS format, and documents from the drive will be saved to its original file format. Software is designed to provide backup of emails in PST, EML, MSG, and MBOX files and thus there is wide availability of desktop email clients to access this email backup. For instance, if users want to access the emails of Google Apps account locally in MS Outlook application, he can create the backup in MS Outlook PST file. Thus, the emails will be safe in the system and users can access the emails anytime without internet connection using Outlook application. Google Apps Backup tool is integrated with manifolds of features that give an organized backup of email data. It is embedded with email date filters using which emails of specific range of dates will be backed up only. Internet bandwidth settings can be also done to perform backup with pre-defined internet speed. Users can backup email data of single or multiple users. There are many more features available in the application using which users can attain a complete and systematic backup of email data. Software is available as a demo version and can be downloaded to try before purchasing full version. Can I create google app backup from multiple accounts? Yes, the tool provides three methods- 1). Single user account backup 2). Multiple user account backup 3). Domain user backup. Can I take google app backup in the MBOX file format? Yes, you can save google app backup in MBOX, EML, MSG, and PST file formats. Which operating system is comfortable for execution of the Gmail App software? The software originally developed for only Windows users, so the tool supports Windows 8, 8.1 and all below versions.